This is an epic musical extravaganza with numerous players, most notably Lani Hall, Herb Alpert, Tom Scott, Paul Williams, Kai Winding, Bob Edmundson, Vermettya Royster, Rita Coolidge and Bill Medley. WINGS was reissued as A&M SP 3503 and later on CD, now out-of-print and highly collectable. Why did Michel Colombier, a writer of film scores, compose and conduct the contemporary Symphony "Wings," using 158 musicians and 24 backup vocalists and five solo singers? Because, you may say, they were there. Why were they there? Because Herb Alpert reached into the wall-to- wall coffers at A&M Records and sent a whopping care-about-music package to Paris to finance the project. Alpert is proud of this, his loftiest undertaking, to date as a producer at his 9-year-old record company. "It all began," he says, soon after Michel came over here as Petula Clark's musical director. "When she sang on one of my TV Specials, 'The Brass Are Coming,' I met him. 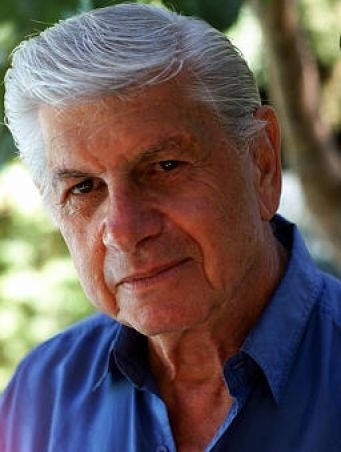 He did some writing for strings and woodwinds that appealed to me. I asked him whether he'd like to try an ambitious work someday, using a jazz -ensemble, full symphony orchestra and soloists." Colombier allowed that he had entertained thoughts along those lines. Finally, after almost three years, those thoughts have become "Wings." The 35-minute work is less jazz than rock-pop-classical, less symphony than cantata. The voices are those of Bill Medley, sounding like a righteous black brother; Vermettya Royster, a sure-enough soul-packed black sister; Paul Williams, a former actor, who contributed all the lyrics (he also wrote "We've Only Just Begun"); Lani Hall, ex- Brasil '66, and Herb Alpert, ex-TJB. "When I first heard what Michel had written," Alpert says, "I was on his melodic frequency immediately; but he was then working with a lyricist in Paris who was a little too esoteric. I recommended Paul, who had to do it the hard way, fitting words to pre-determined melodies." The original name of the work was "Freedom And Fear". This has since been reduced to a title for the opening song, accorded a headstrong Ray Charles-by-way-of-Joe Cocker delivery by Bill Medley. Another working title was "Pourquoi Pas?" which has become the name of an instrumental sequence. Asked the significance of the present title, Alpert shrugs: "It's up to the listener to get the message of the title and the lyrics and the music. I never did get around to analyzing and picking apart the lyric content. It's like jazz, in the sense that you can listen to a John Coltrane solo and tell me what you hear, and I'll tell you what I hear, and there will be two entirely different reactions." The basic thrust of Williams' poetry would seem to be an affirmative upbeat exhortation. 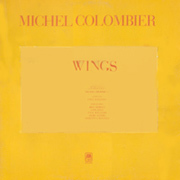 In one verse Medley sings: "I've been the world and felt it turning/ been everywhere and tried to learn it all/ Done everything that I think I can/ And if I could I'd be the wings of man" As for Colombier's objectives, though Alpert grants that the mingling of a symphony orchestra with jazz and/or rock sounds, is hardly new, he feels that Colombier has translated the process into 1971 terms. John Lewis of the Modern Jazz Quartet- recorded with the Stuttgart Symphony in 1958; Duke Ellington has been involved in similar experiments since 1955; Dave Brubeck performed his oratorio a year or two ago with the Cincinatti Symphony. More recently the trumpeter-composer Chuck Mangione recorded his "Friends and Love (released on Mercury) with the Rochester Philharmonic, a work patterned along lines very similar to 'Wings' but leaning less heavily on lyrics and more on jazz improvisation. Alpert is convinced that 'Wings' is Colombiers chef d'oeuvre. "Here's a man who has broad and deep roots: Paris Conservatory trained, with a background in appreciating, everything from Bach to Lennon-McCartney. He's taken all these tools and brought everything up to date. "Listening to Michel's work I was reminded of a question I asked myself a couple of years ago: What would Ravel be writing it he were living today?" What indeed? He might be the liveliest, busiest 96-year-old writer of Franco-Spanish pop-jazz-rock flavored cantatas, on the Paris -to Hollywood scene. Is Michel Colombier indeed a 1971 counterpart of Ravel? I disqualify myself from answering, since Alpert has decreed: "Nobody who has heard "Wings" only two or three times is entitled to give an opinion." I will conceded, though, that at press time, nearing the end of my third hearing I was receiving much stronger vibrations than had reached me the first or the second time around. Engineers: Roger Roche, France, and Larry Levine, U.S.A. The pop orchestra sedction was recorded at Studio Europe Sonor, Paris, France. Additional music recorded at A&M Recording Studios, U.S.A.